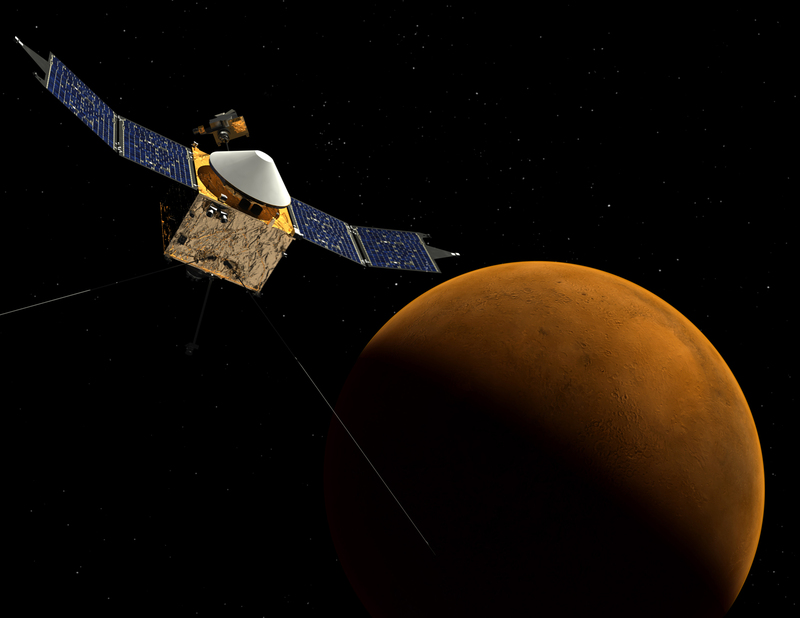 The MAVEN mission—the next mission to the Red Planet—will study Mars’ climate and climate history. Mars was once a world with oceans, rivers, and lakes, but at some point in its history the atmosphere and flowing water disappeared. What happened is a mystery: How did the atmosphere escape, and how long did that take? MAVEN will launch in the fall of 2013 and arrive at Mars in 2014 to seek answers to such questions. Join us for a one-day workshop on the MAVEN mission, and our accompanying program for grades 3-5, Red Planet: Read, Write Explore! About the workshop and lessons: A suite of six standards-based lessons combines science, literacy, and art to help students understand planetary habitability and the MAVEN mission. Students learn about Mars science, planetary habitability, and future exploration. Students read, write, and listen to both fiction and non-fiction about Mars, conduct research, and share ideas through discussion. Accompanying the lessons are science experiments and demonstrations. The workshop, offered by the MAVEN education team, will introduce you to these lessons and concepts. The workshop will also have a session devoted to Spanish speaking ELL and ESL students. You will receive free classroom materials, including a copy of Dr. Jeffrey Bennett’s Max Goes to Mars. Registration and payment deadline is August 1st— but space is limited, so register early! Upon submitting the application, you will receive additional workshop details. We look forward to seeing you at the Mexican Consulate in L.A. on Saturday, August 24th!